Defining a new phase in Oysters long running, carefully structured product development programme, the company is delighted to announce the all new Oyster 675. 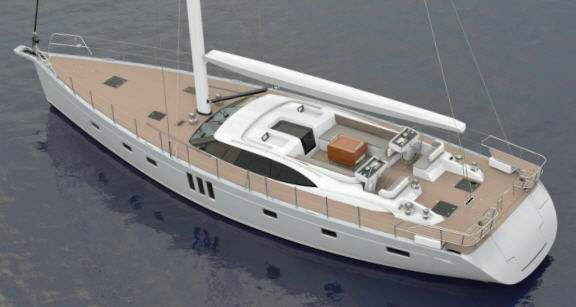 Pairing with the Oyster 745 concept introduced in Autumn 2013, the Oyster 675 completes for now a new third tier to Oysters range, meeting the evolving needs of owners and how they view and crew their sailing. Creating balance and pace, the twin rudder hull by Humphreys Yacht Design is configured and engineered to take a more powerful rig plan than the smaller yachts, with options for carbon masts and rigging and performance sails that will make this model appeal to those who enjoy fast passages and have, perhaps, a keen eye also on the trophies at Oysters exclusive regattas. 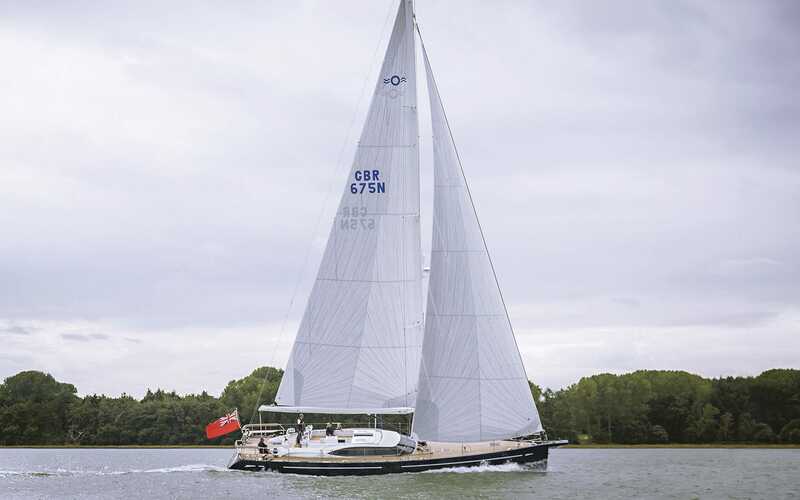 Yet this is not a lightweight racing yacht, it has everything an Oyster should, just in a hull form that gives an extra 10 per cent on the water and with either the swinging centreboard or standard keel versions, comfortable performance is guaranteed. With its lower profile, stretched deck saloon window visually triggering a sense of power and purpose in a manner akin to the more tasteful of performance road cars, this Oyster 675 joins the latest Coupé range.